A variation on our popular Wall Dock, the Free Standing Wall Dock lets users make the most from floor space. 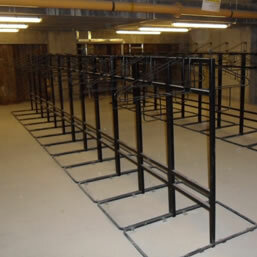 The frame can be securely bolted to the floor in any position of the room. Ideal for offices, housing developments, schools.